Make more from company reports. 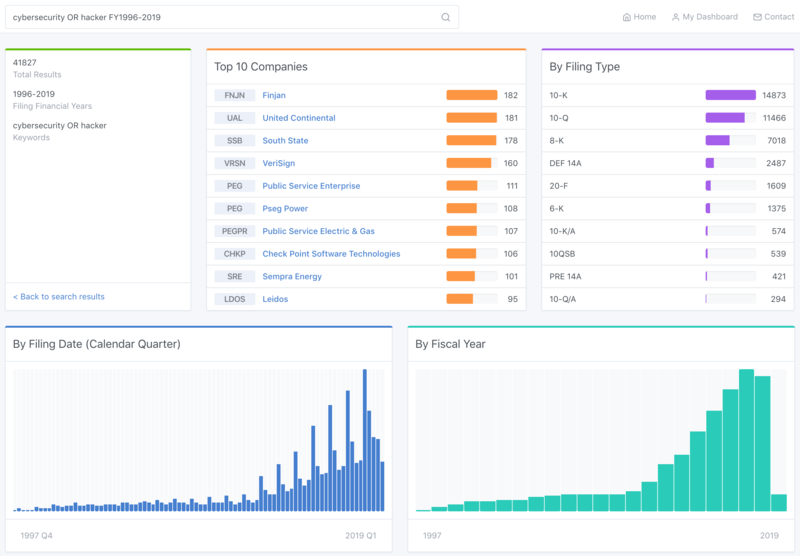 Easily search, compare and analyze millions of SEC filings for better investments. Idea research. The most powerful SEC filing search. Research themes and technologies by company and trend. Due diligence. See what others don’t with filing diffs, sentiment analysis, added/removed words and more. Buy and sell timing. Stay updated via filing email alerts by company or keyword, with favorite companies and searches. © 2019 Eighty-Five Technologies Inc. Not affiliated with SEC EDGAR.